FAST – High quality monocrystalline diamonds are the fastest cutting abrasive in the world. 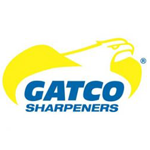 VERSATILE – GATCO® diamond technology solves the most difficult industrial, commercial and D-I-Y sharpening, deburring and stock removal challenges. Size: L 4.940" x W .750" x .250"